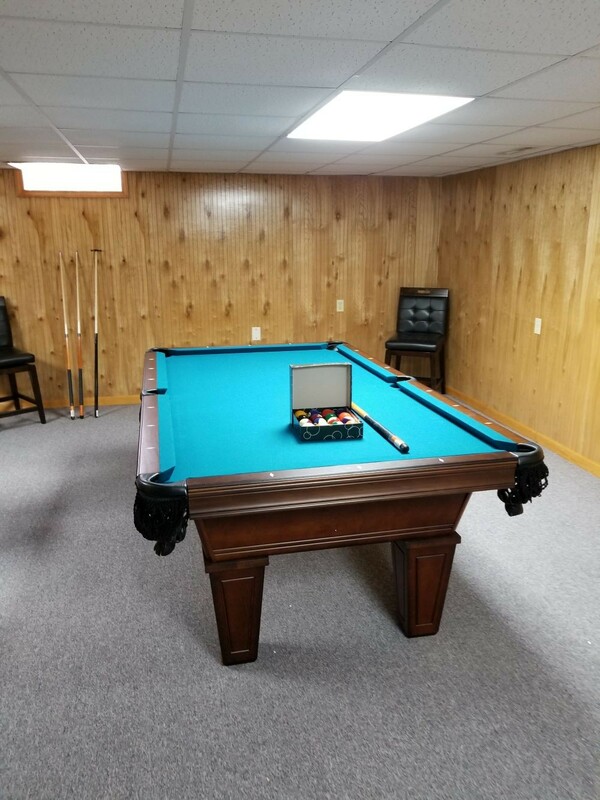 At Americ an Heritage, they've been handcrafting heirloom quality billiard tables for close to 20 years. Over the past two decades, they've worked tirelessly to perfect the construction quality of American Heritage pieces, doing away with block and bolt construction in favor of the very same 100% wood joinery techniques used in the some of the world's finest handcrafted furniture. In order to ensure that the dynamics of design are not compromised during assembly, absolutely no table weight is ever supported by hardware. Artisans craft each table "the old fashioned way," employing only time-tested wood joinery methods throughout the construction process. 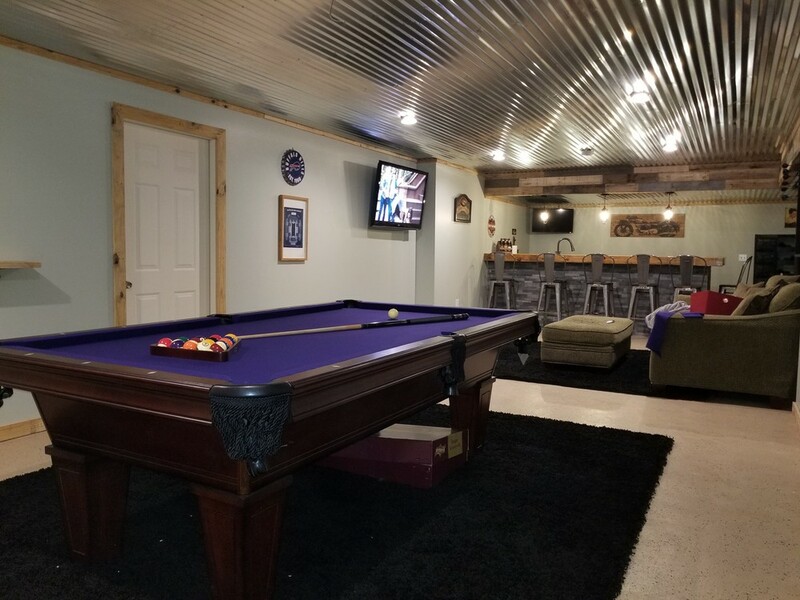 Because of their dedication to these proven techniques, you can rest assured that your furniture table has been crafted in its entirety by the finest of woodworking professionals. Their precision rail tolerances and 100% natural gum rubber cushions deliver the rebound accuracy demanded by tournament professionals. They engineer their "Sure Shot" natural gum rubber rail system with both a professional control fabric and an acceleration arch. 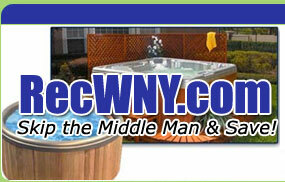 They use only the finest quality wood stain finishes to bring out the natural warmth and beauty in every piece of wood. American Heritage also employs another time-tested manufacturing process called the Triple Anchor Gusset system (T.A.G.). The T.A.G. 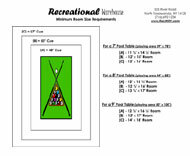 system ensures your table will remain square and level for many years of family enjoyment. They build in even more support by installing twin one-piece center beams to ensure that this cabinetry stays square and true forever. In addition they interlock these cross-laminated beams and mortise them into all four cabinet sidewalls to prevent any cabinet warping or twisting. 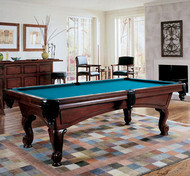 The end result is a billiard table that is as strong as it is beautiful and will last for generations. 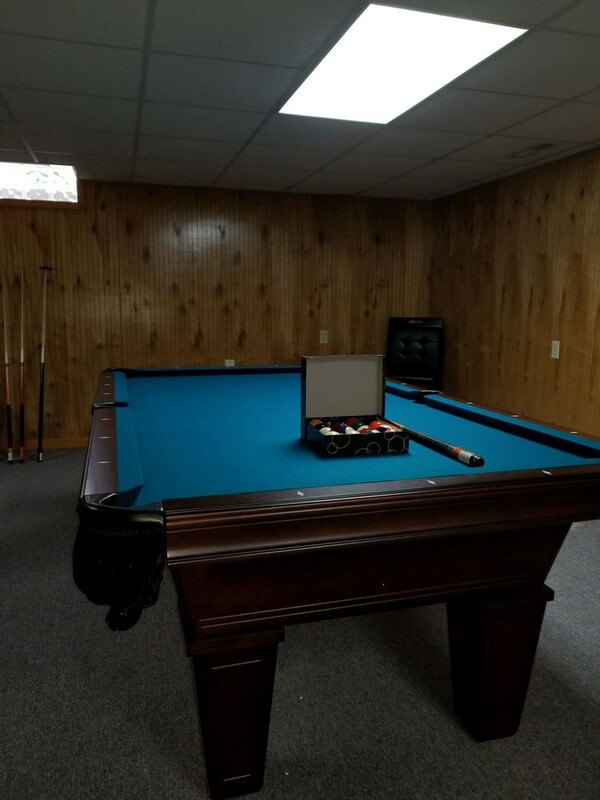 Everything about the Avon Pool Table sets the stage for endless hours of entertainment. 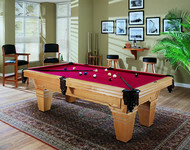 The sumptuous, dark-hued pieces of the Eclipse are ready to host everything from a quick game to a long night of fun. Timelessly elegant, the Artero is finished in a rich Navajo hue. 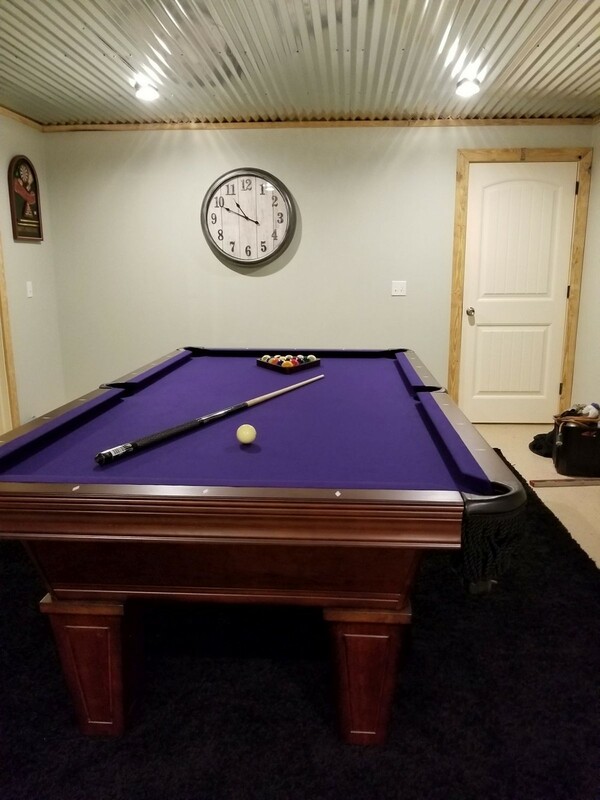 It features striking claw legs and bold rails tooled with handsome vertical details, making the Artero billiard table a beautiful addition to any home. With its humble, yet noble design elements and striking Navajo finish, the Guinness Pool table provides a clean, traditional look to a game room or loft, while conjuring memories of good times spent with family and friends. Enhance the appeal and look of your recreation space with the handsome and functional design of this Guinness pool table wall accessory cue rack. No game room can be complete without a dart board as exemplified by this exquisitely detailed and constructed piece. Whether for enjoying a cheerful game with friends and family or on your own, this refined cabinet is prefect.